Sunrise finds a haze of smoke and fog drifting over the field now under gray skies. Although most troops on both sides expect a renewal of fighting, a stalemate sets in over the battlefield. General Lee has his decimated Confederate forces attempt to strengthen their defensive positions to the maximum extent possible, but the losses of the previous day have left the Army of Northern Virginia struggling to survive. General McClellan is hesitant to initiate a new assault at any point on the field even though he holds a significant numerical advantage especially in fresh troops held in reserve from the previous day’s action. 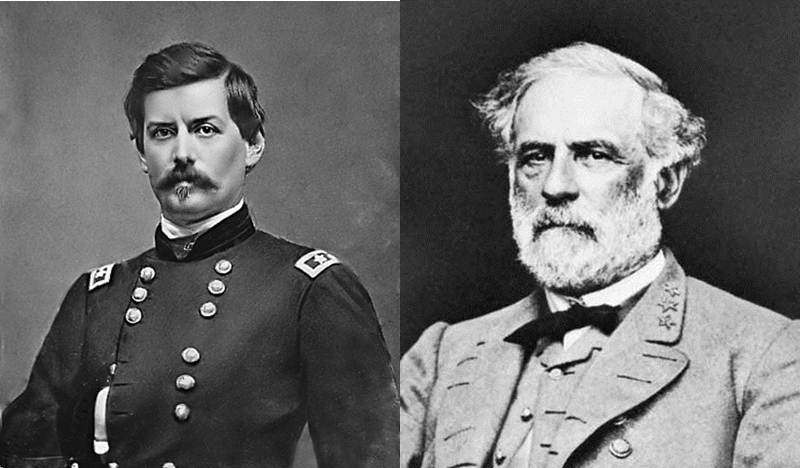 The previous night, McClellan has issued preliminary orders for a new attack, but has second thoughts in the light of day. Although some wounded troops are able to be rescued, many of these soldiers from both sides are trapped in a no-man’s land suffering greatly during the day and through the night. Many soldiers write later of the dreadful cries for water coming from the wounded that can be heard along the lines of battle. For Ariel and Alonzo Case, there will be no new information about the disposition of their brother and no opportunity to search the area now controlled by the Confederate troops.